In the late ‘60’s the Civil Rights Movement sparked the beginnings of supplier diversity. In the early 70’s, federal legislation was passed to ensure that minority-owned businesses were not excluded from the opportunity to bid on government projects and large corporate projects which supplied the government with products and services. 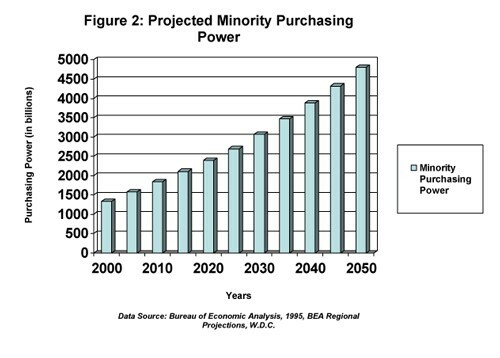 To protect the integrity of the new U.S. supplier diversity legislation, The NMSDC (The National Minority Supplier Development Council) was formed during the early 1970’s as a 3rd party whose function was to certify businesses as Minority Business Enterprises to reduce incidents of misrepresentation. Since then, many other national organizations have come into being to address the needs of other affinity groups. Ultimately, whether it’s being an MBE supplier for aluminum extrusions, steel, or transformer cores, the reality is this: to compete, there must be a willingness to evolve and grow in a way that reflects the population at large. In fact, research shows that companies that embrace diversity are more profitable than companies that don’t. If you would like more information on Taber’s MBE supplier for aluminum extrusions status, or our commitment to creating diverse partnerships, please visit the MBE supplier for aluminum extrusions page of our website, or give us a call at 888-985-5332. The National Minority Supplier Development Council creates opportunities for Minority Business Enterprises to connect to the hundreds of corporate members who wish to build relationships with trusted minority-owned companies, like Taber.